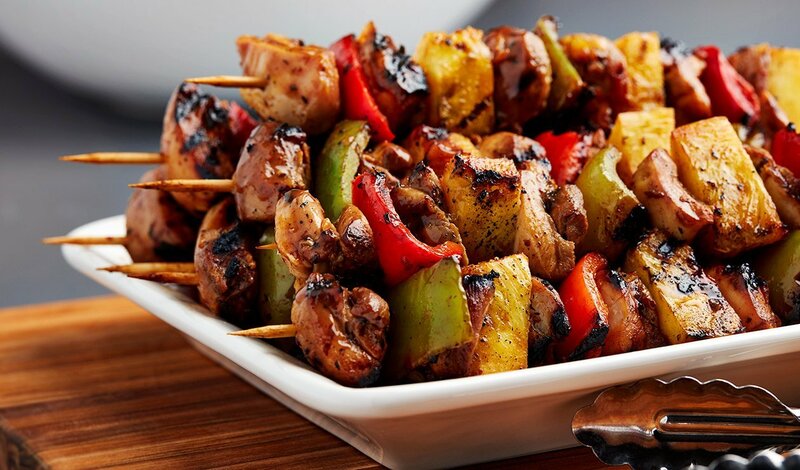 Tender chicken thighs marinated in a traditional Caribbean jerk sauce made with papaya juice, skewered with sweet chopped peppers and juicy pineapple. Cut the chicken thighs into large pieces (32 pieces). Marinate the chicken in Knorr® Caribbean Jerk Sauce for 2 hours. Build the skewers using alternating ingredients. Grill the skewers to 165 degrees internal temperature while brushing with additional Knorr® Caribbean Jerk Sauce to glaze.